It was about three and one half decades after I first started driving in the West before I took the most direct route -- which is not very direct -- between Reno and Las Vegas. It was November, and before too many weeks Northern Nevada would see a surprising amount of snow. 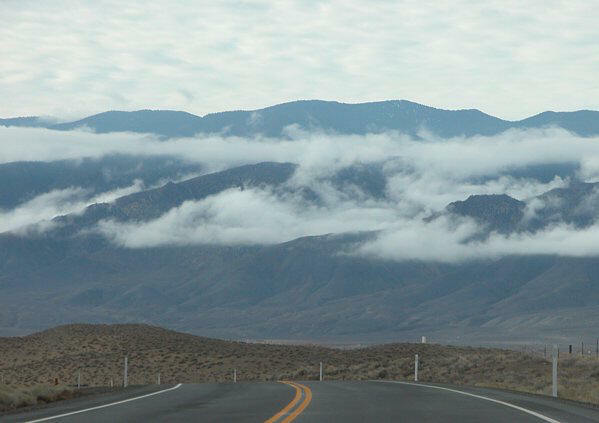 But this morning nothing was more threatening than some remaining layers of clouds sticking to the mountains beyond U.S. 95, heading south from Fallon. The main road between the state's two largest cities is two lanes for hundreds of miles, and this day there was only a modest amount of traffic.